Today we are going to discuss something that is a bit privacy but yet happen commonly in our community – snoring. Do you have a partner that snores? I believe a lot of us have same issue, well, at least I do. My partner snores is so loud that even the neighbor can hear. I have tried to poke him, and even put on ear plug. However, it doesn't solve his snores. At times, I was even thought to sleep in separate room but I know this is harmful to the marriage hence I just let this thought slip away. Over the years, he has tried almost all the remedies including the nose strips, get doctor's consultation, but they are not helping him to reduce his snores. The doctor has advice him to go for an operation but we thought it was too extreme and hence we didn't go for it. However, as his snores become louder every night, it made us both had poor sleep and affect our daily activities. Month ago, I posted my concern of my snoring partner online. Not surprisingly, many of my friends are having the same problem, and one of my friend from pharmaceutical background has introduced me Silence. 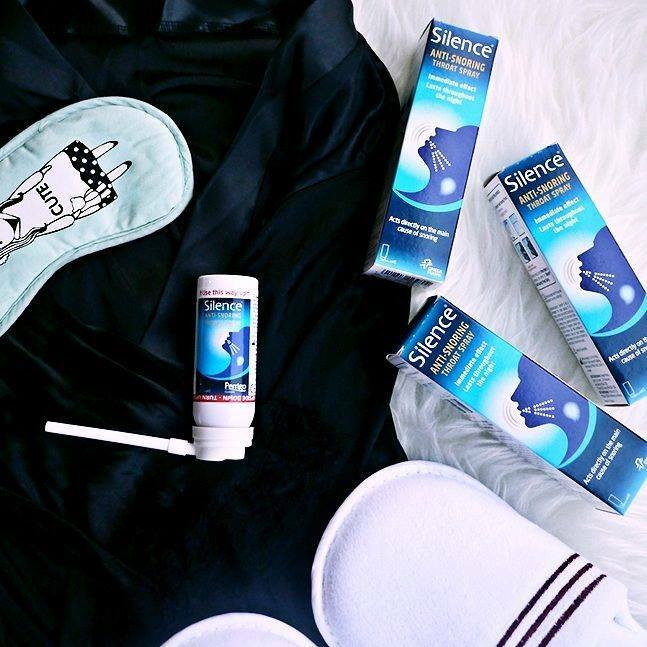 Made in France, Silence is an anti-snoring throat spray that acts directly on the main cause of snoring and lasts throughout the night. As I was really curious just like you, I have decided to give it a try. I have let my hubby to use the Anti-Snoring Throat Spray 3 weeks ago. Read on further to find out the 5 things you should know about Silence Anti-Snoring Throat Spray from our experience. 1. 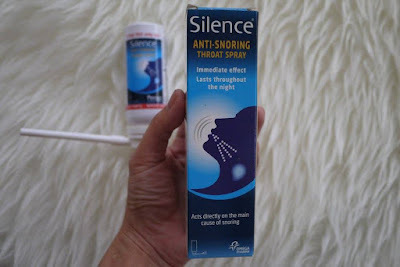 Silence Anti-Snoring Throat Spray is plant base, it is made from 2% of Carrageenan, a very sticky seaweed; 7.5% Phospolipids which is soy lecithin, a plant based lubricant and Rosa Canina Extract, the rose hip extract to tone up muscle and helps in inflammation. It gives immediate effect as it coats the throat tissues and providing lubrication immediately. It reduces the inflammation and swelling of the throat tissues (edema), therefore reducing snoring. 2. Silence Anti-Snoring Throat Spray comes in foam spray type which is easy to use. 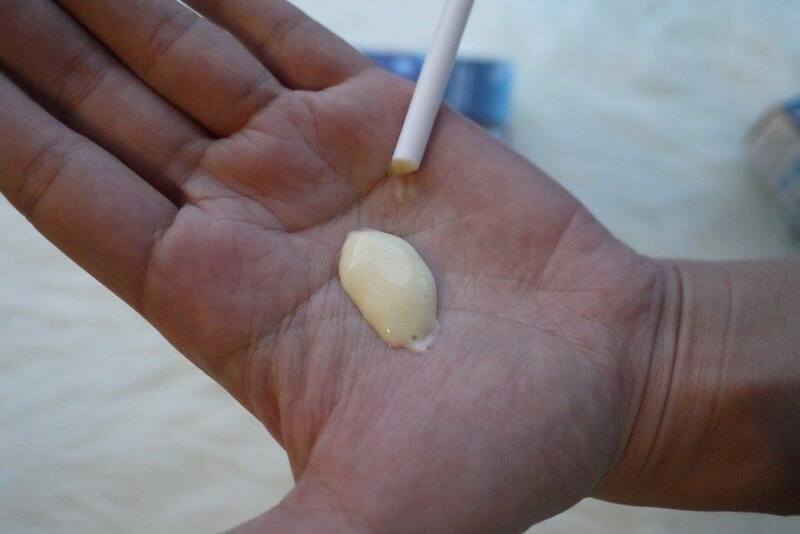 To use, shake the can vigorously, attach diffuse to nozzle, turn the can upside down, spray foam towards back to your throat for 3 seconds, swallow it in. 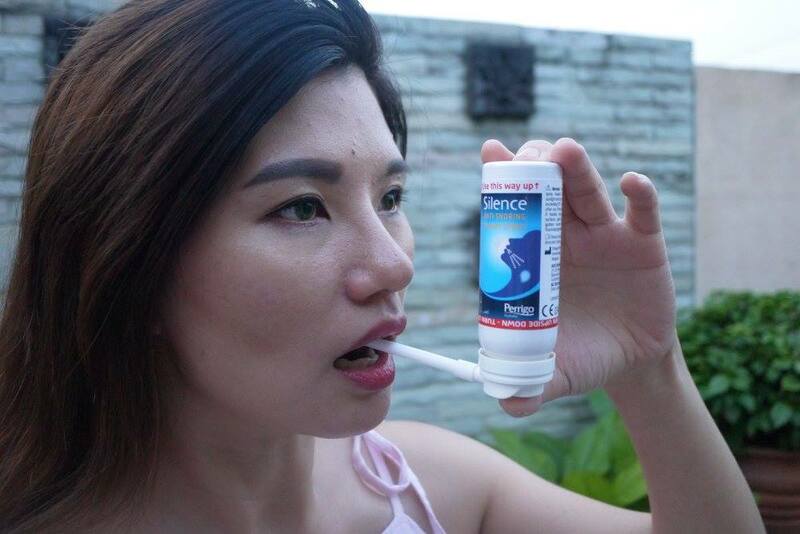 Repeat spray and swallow for 3 times before you sleep. This way, the anti-snoring throat spray will stay on the site of action the whole night. 3. 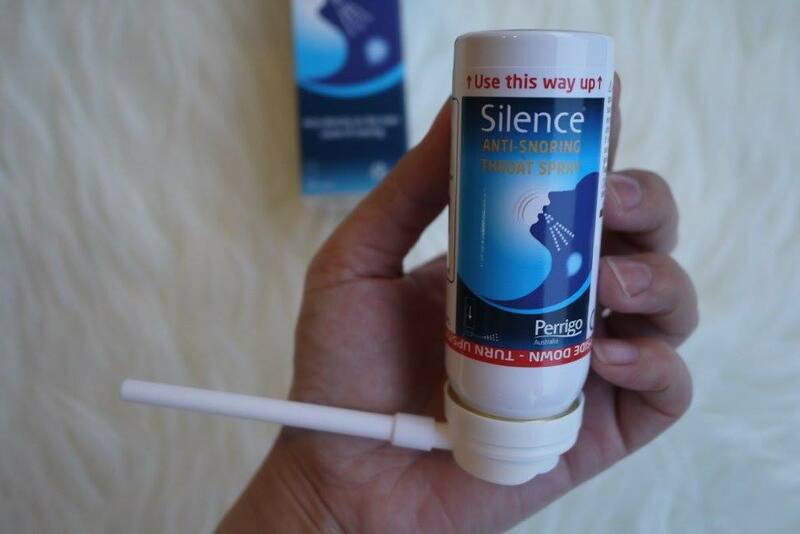 Silence Anti-Snoring Throat Spray taste really refreshing in mint mandarin flavor. 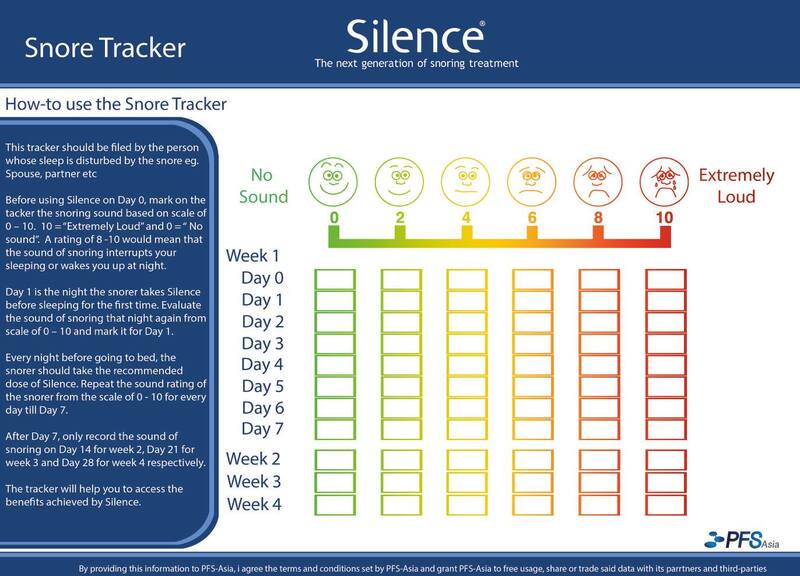 My partner find it great, and it helps tone the underlying muscles therefore reducing snoring on the long term in some patients. 4. Silence Anti-Snoring Throat Spray comes in 50ml canister which is sufficient for one month usage per can. It is retails at only RM 79.90 and it is available exclusively at Caring Pharmacy. 5. Most importantly, Silence Anti-Snoring Throat Spray has helps my hubby to reduce his snores significantly. He is happy to use it every night, and I am a happy wife now! You can use the snore tracker above to keep track on your partner's snore too. 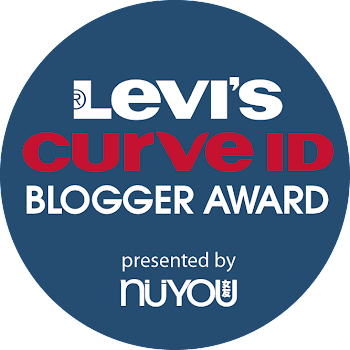 Great news to my readers, you could complete the tracker and get your next bottle for free! Just contact Ju May at 012-2368727 from 9am to 5pm, Monday to Friday for more details on the redemption ok.
Now you have read our experience on Silence Anti-Snoring Throat Spray, why not try it out on your partner too? 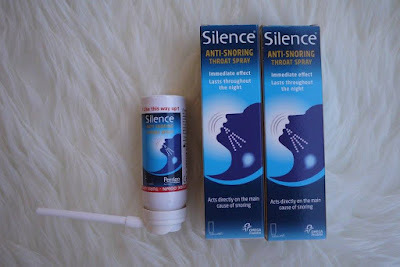 I am giving away 2 units of Silence Anti-Snoring Throat Spray to my readers. To win, just comment on this blog post, tell me why you would like to win it together with your name and email address. 2 winners will be selected and announced next 2 weeks on the blog. So, hurry submit your comment below ok.
For enquiry on Silence Anti-Snoring Throat Spray, please contact Ju May at 012-2368727 from 9am to 5pm, Monday to Friday. Note: Silence Anti-Snoring Throat Spray is not a treatment for sleep apnoea. If in doubt, consult your doctor. Wahh thanks for sharing...nanti bolehlah sis suggestkan pada sesiapa yang snooring utk beli produk ni. Thank you all for participating the giveaway. Congratulations Amy Kam and alia farhan said for winning the giveaway. We will contact you for prize delivery. To the others, we will have more giveaway coming soon, do join it ok. Thanks.